Like many little girls, I had an obsession with all things French. I have no idea where this love originated but it led to four years of French class in high-school and two years of French language study in college. Today, I still have a healthy appreciation for French culture especially the food. Sadly, I’ve never been to France and several years ago, my husband and I began putting together a trip to Normandy and Brittany regions. Research is half the fun of traveling for me so we bought books (yes, real books!) and put together itineraries. Alas, several unexpected eye surgeries and a whole lot life got in the way and the trip failed to materialize. In seeking ways to satisfy my French cravings, a number of years ago I discovered the Cheese Importers in Longmont. There’s nothing I love more than cheese except for maybe wine, although that’s probably a tie. Picking out cheeses in the Cheese Importers HUGE cheese cooler is one of life’s greatest pleasures. They provide coats because the cooler is chilly. 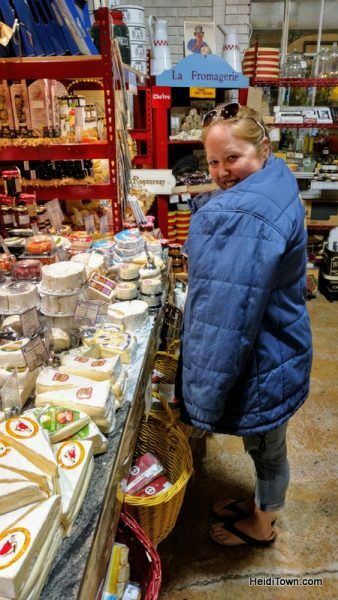 I call the Cheese Importers my “happy place.” It’s a little piece of France in Longmont, Colorado and I’ve been looking for a way to incorporate it into a story and now I’ve found one. 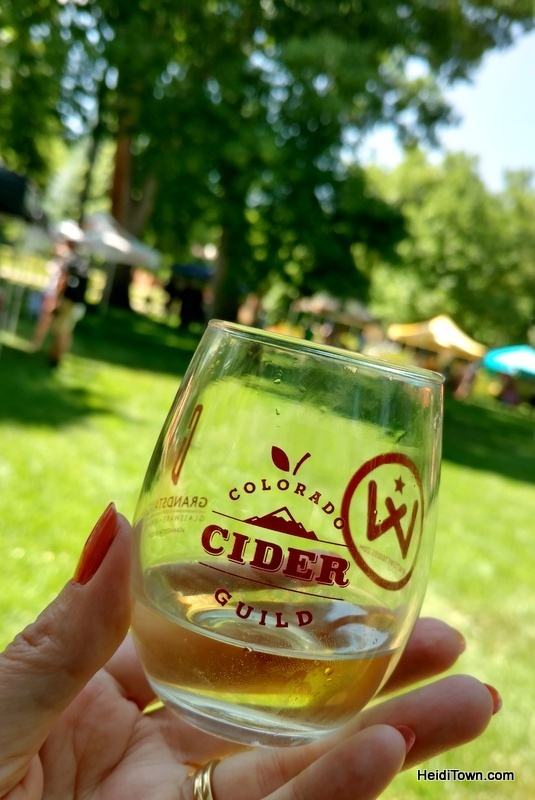 Pressed Fest, which I attended this past weekend in Longmont, is a celebration of the growing hard cider industry and is a fundraiser for the Colorado Cider Guild. Ryan and I have been fans of cider since we discovered Strongbow, an English cider, in the late 1990s. 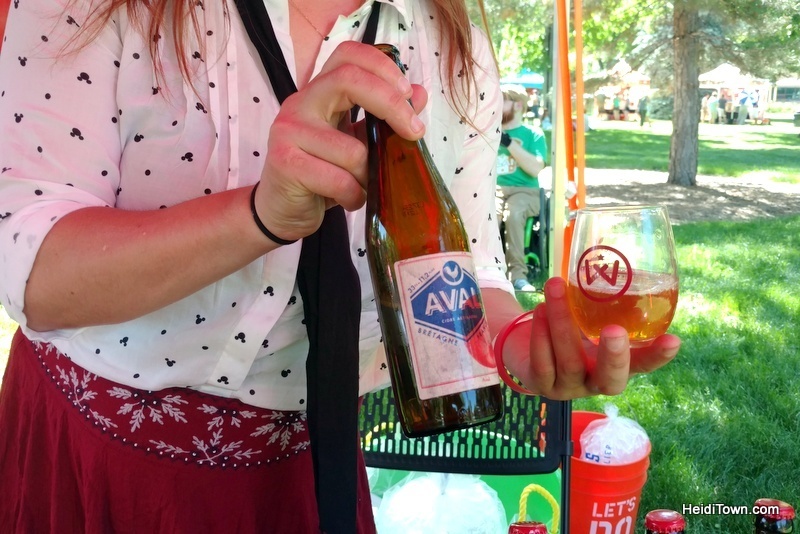 Wyatt Wet Goods brought a French cider for festival goers to try at Pressed Fest 2018. Cider has a long history in France, where apple cultivation was introduced by the Celtic Gauls and later the Romans (Source: Wikipedia). For us, a trip to France would have certainly included more than a few sips of cider and in fact, we were researching Normandy’s Cider Route. Attending Pressed Fest got me thinking about how I could create a French itinerary in Longmont with a Normandy twist and this is it. 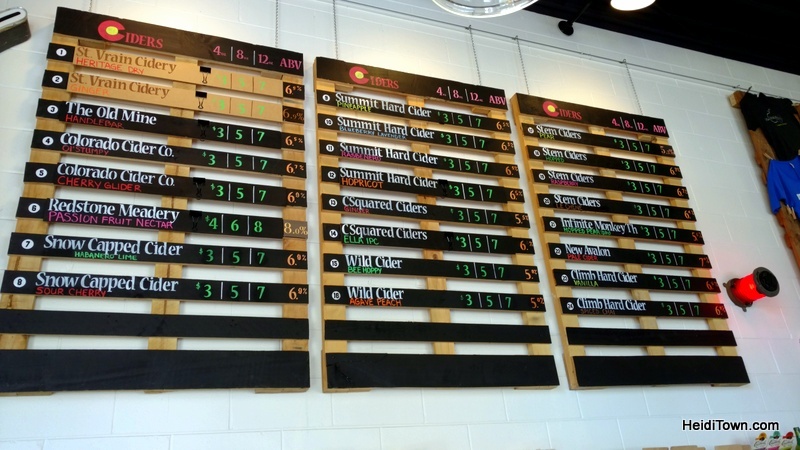 Longmont is home to one of the best cideries in the state, St. Vrain Cidery. It’s fantastic because not only do they feature their own ciders, they have a large number of other ciders on tap too. A patron here will leave with a broader understanding of this ancient beverage, and will undoubtedly find at least one that they love. The bright and airy taproom is inviting on a sunny afternoon in winter or summer. 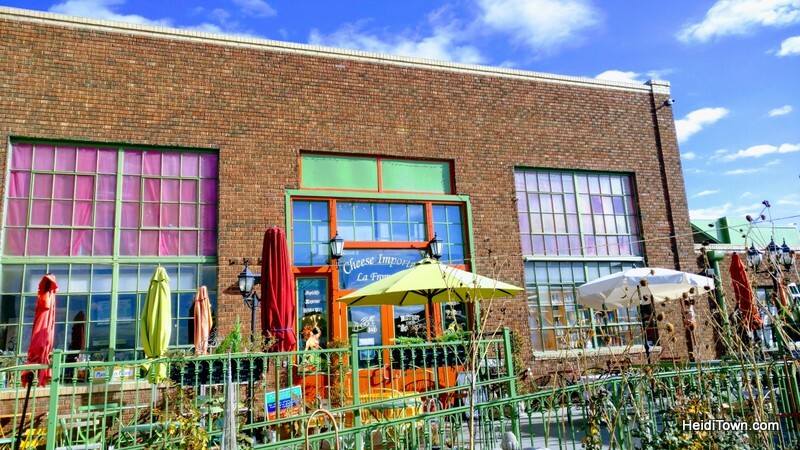 Located in an alleyway in the old Longmont newspaper building, it also has historic charm. This photo was taken during the Summer 2017, so don’t expect it to be the same ciders today! 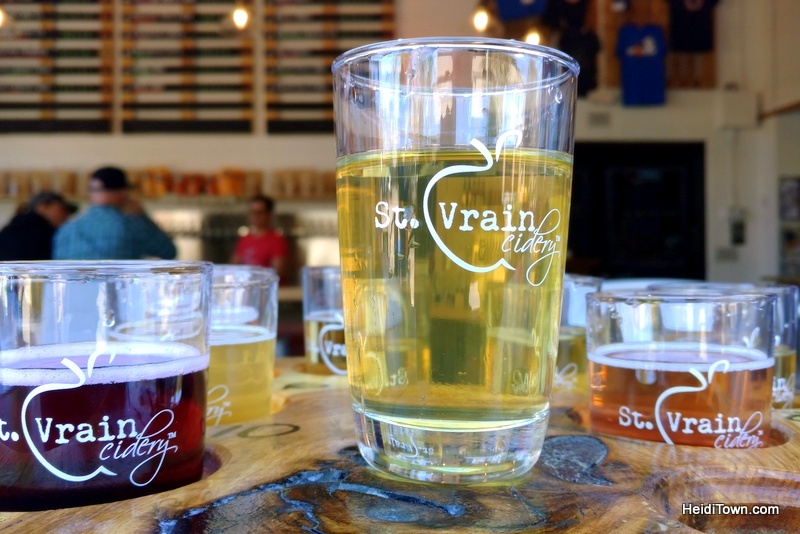 I like St. Vrain Cidery because the owners and staff are excellent at educating the consumer on their product. I recommend getting the large taster flight and making your way through it slowly. This can be an eye-opening experience for those who think cider is just a sweet drink for the indiscriminate drinker. 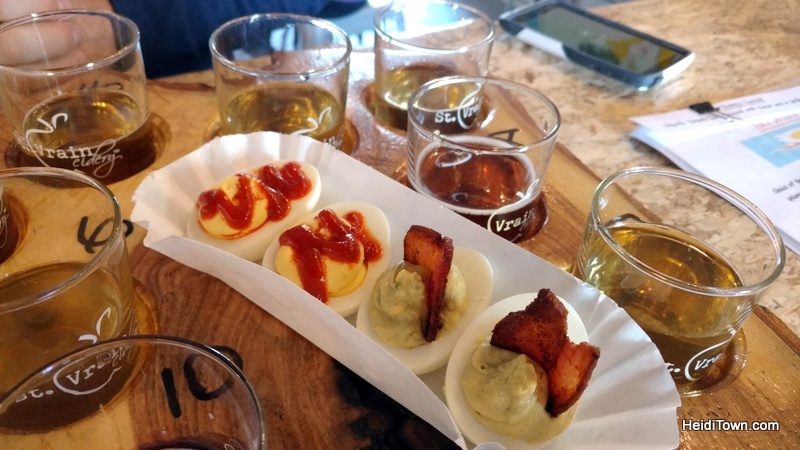 Yolk n’ Around is one of the yummiest food trucks in Colorado, especially if you love eggs. 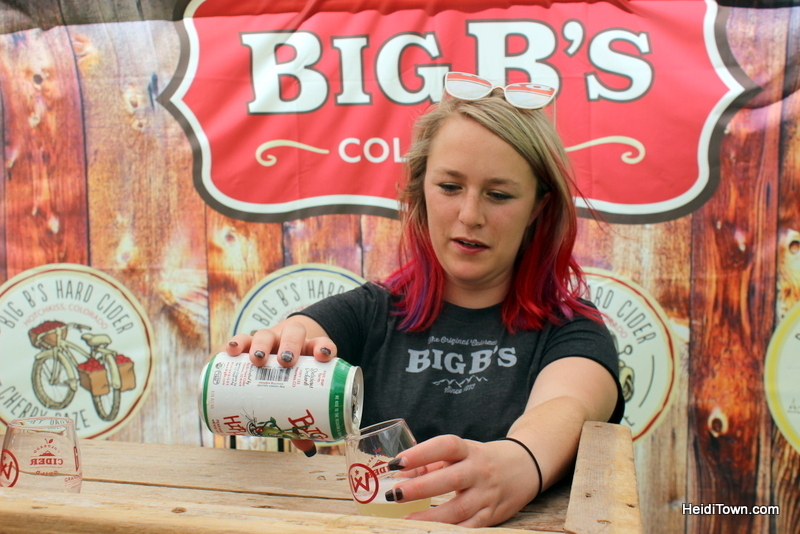 If you develop a love cider, it’s time to plan a trip to another one of my favorite cideries in Colorado, Big B’s. Located in the North Fork Valley, Delicious Orchards, home to their tasting room and farm, is a delightful place to spend an afternoon eating and drinking all the wonderful things they have on offer here. And don’t miss the 7th Annual Hard Cider Fest held at Delicious Orchards on October 27, 2018. Big B’s at Pressed Fest. After you’ve tasted ciders at St. Vrain, make your way to Cheese Importers, just 16-minutes by foot or a couple minutes by car. I’ve been to this place more times than I can count and will admit that it’s one of my favorite spots in all of Colorado if not the world. 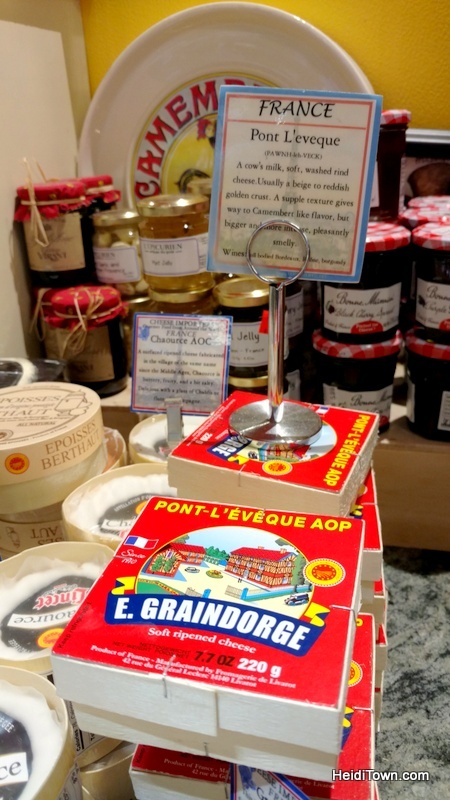 They are a cheese wholesaler, cheese shop, bistro and retailer of all things French. It’s not just about the cheese, although that’s a big part of my love of this place. As soon as I mount the stairs to west entrance, passing the riot of colorful flowers on and around the patio, it’s like I am transported to another place. Visiting here is like taking a mini-vacation from real life and it’s glorious. Picnic on the patio at Cheese Importers. I usually order a sandwich at the bistro and then, after eating, I browse the cheese shop. 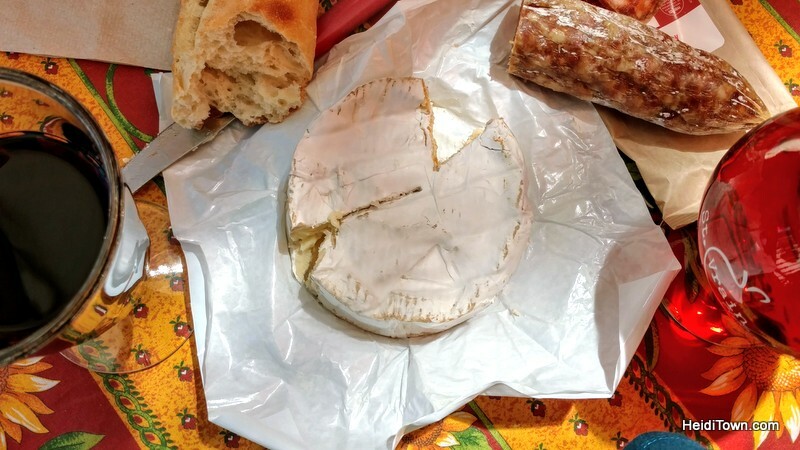 On our last visit, however, we bought Camembert cheese made in Normandy, France in the cheese cooler and a baguette. 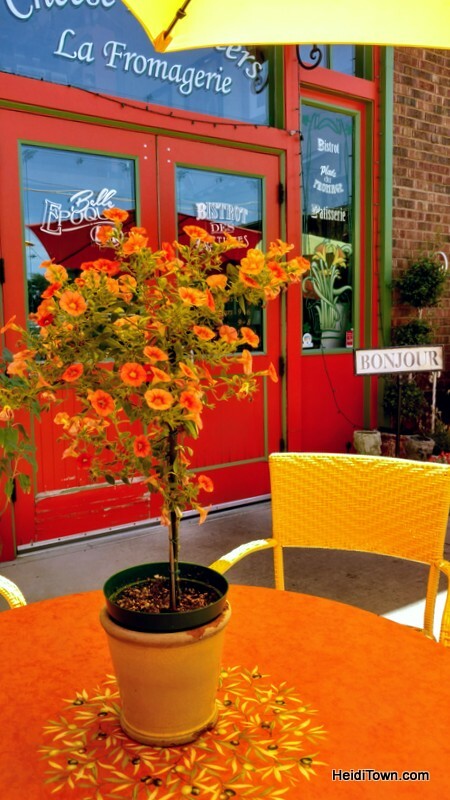 We then ordered a French wine and a Stem cider from the bistro and enjoyed a little picnic on the sunny and flower-laden patio. I can think of no better way to spend an afternoon. 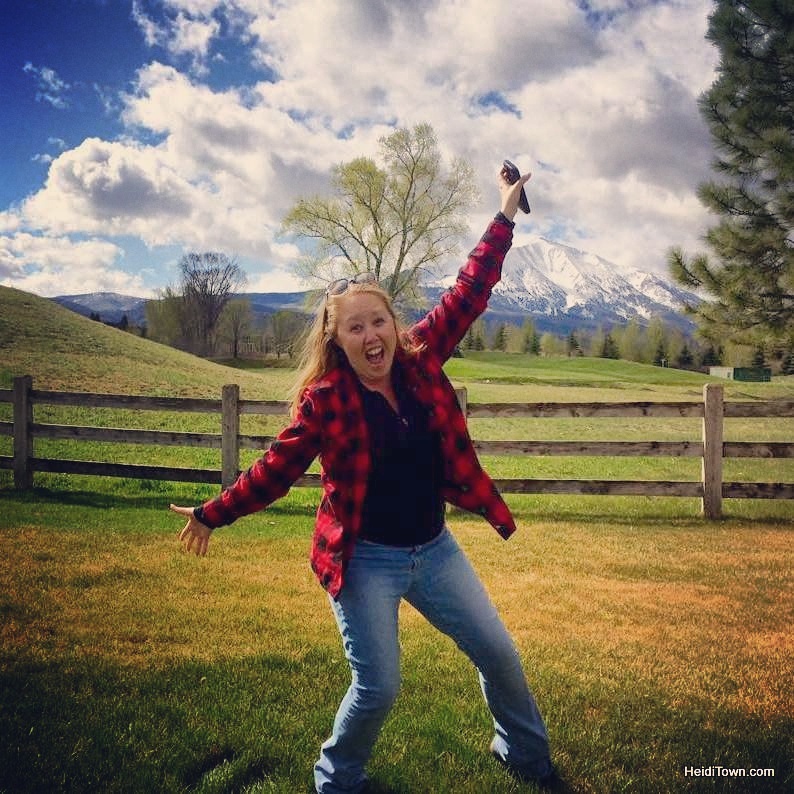 Great article and I love Cheese Importers in Longmont!